Vasyl Lomachenko retains his WBO Super-featherweight world title after battling for six hard rounds. His adversary, Guillermo Rigondeaux refused to get up from his stool after the sixth round prompting the referee, Steve Willis to stop the fight. The highly anticipated bout, which took place at the Madison Square Gardens in Las Vegas, marked a key milestone in featherweight boxing. Arguably the two best fighters of the lower divisions went head to head to decide who the better fighter was. Rigondeaux, who went up in weight to take on Lomachenko claimed he had injured his left hand and could not continue on with the fight. Much speculation has surrounded the authenticity of the claim and many fans argue that Rigondeaux in actual fact could not cope with the frantic movement and agility of his rival and decided to quit. The true reason for a premature end to the fight remains unknown but there’s no doubt that this will remain the centre of discussion amongst fans for many years to come. Lomachenko goes on to be recognized by many as currently the best p4p fighter in the world and one of the best fighters of our generation. Rigondeaux on the other hand may need to consider hanging up the gloves. At 37 years of age, it’s important to question, how much more does rigondeaux have to offer in this brutal sport? This Saturday 27th of May sees Kell Brook defend his IBF Welterweight title against the undefeated prospect Errol spence Jr. The hotly anticipated bout, which will take place in Bramall Lane, Sheffield, England is expected to attract one of the biggest crowds for a fight this year. Following the results of the weigh-in, it is clear that these fighters mean business. With a mere few hours to go until the fight takes place, it will be interesting to see who comes out Victorious, will the belt change hands or will the special one retain his title? On July 15, a Federal Court of Appeals upheld a lower court’s 2011 decision, ordering the return to the Cafesjian Family Foundation (CFF) the properties intended for the construction of an Armenian Genocide Museum and Memorial in Washington, D.C. I received scores of e-mails from many readers last week deploring the fact that two prominent Armenian organizations wasted millions of dollars in suing each other instead of settling their dispute out of court and building a Genocide Museum, scheduled for completion long before the Centennial of the Armenian Genocide. Unfortunately, the inauguration of the Museum, located just two blocks from the White House, may not take place at all! It is deeply regrettable that both sides had rejected all offers by third parties to mediate their dispute. The millions of dollars spent on litigation would have helped fund the Genocide Museum. This is yet another sorrowful example of Armenians acting against their own interests! A miracle could still happen! Even though Mr. Cafesjian passed away last September, he had repeatedly declared that it was his fervent desire to build a Genocide Museum and Memorial in the nation’s Capital. Armenians worldwide ardently wish that his heirs and CFF trustees honor Mr. Cafesjian’s commitment to this revered project and bring his undying dream to fruition. Armenia’s leaders, heads of Diaspora organizations, and community members should notify CFF trustees that they are fully ready and prepared to provide all possible support to make Mr. Cafesjian’s dream a reality. This museum shall be a lasting tribute to Gerard Cafesjian who donated tens of millions of dollars for humanitarian projects in Armenia and the United States. 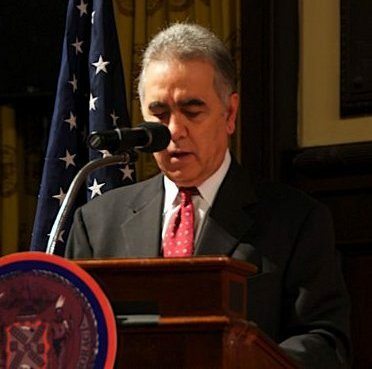 Now that this acrimonious lawsuit is behind us, it is high time for the Armenian American community, with the consent of CFF trustees, to come together and form a pan-Armenian committee, including the Armenian Assembly, to begin planning the building of this important landmark in Washington, D.C.
Should CFF trustees and the Armenian-American community share this miraculous vision, the groundbreaking ceremony could be held on the future site of the Armenian Memorial on April 24, 2015! Turkey: Are Erdoğan’s Days Numbered? It appears that the Islamic Gülenists and the secular Atatürkists — not friends in the past — have forged an alliance and are now ascendant. Clearly, Erdoğan and Foreign Minister Ahmet Davutoğlu’s policy of “Zero Problems With Our Neighbors” — meaning the alliance with Turkey’s Sunni-ruled Arab neighbors — has failed. Turkey now has problems with almost all its neighbors. It appears that the Gülenists and the Atatürkists — not friends in the past — are now ascendant. It is unlikely that they, or whoever might take over in Turkey, would want to continue this failed approach. To the outsider, these differences might seem to be distinctions without differences: supporters of both views understandably want Islam to be a major part of the political order. But for Turks, these differences are seismic: the question is, do they belong to the Middle Eastern Arab and Muslim political camp, or do they belong to the wider Turkish world? Since Erdoğan and his fellow Islamic fundamentalists took power in 2002, Gülen and his forces have been in the background, building prep-schools and propagating their version of Islam — in Turkey, in the Turkic world, and also in America. It is not surprising that when Gülen faced legal difficulties in Turkey in 1999, he fled to the U.S., ostensibly for medical treatment, apparently still ongoing. On May 31, 2010, Erdoğan’s government backed and encouraged a flotilla of Turkish ships supposedly to bring needed supplies to the Gaza Strip, ruled by their fellow Muslim Brotherhood fundamentalists, Hamas. Gülen may have seen this as an opportunity indirectly publicly to chastise Erdoğan. In an op-ed for the Wall Street Journal , Gülen argued that as Israel legitimately controlled the waters off Gaza, the flotilla should have asked for Israel’s permission to land there. 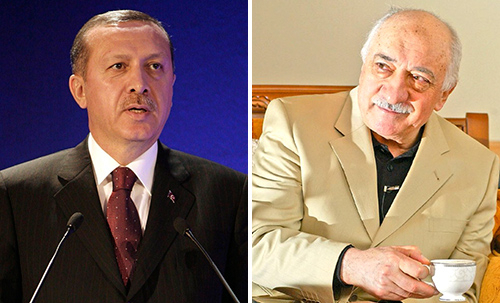 Gülen did not criticize Erdoğan directly; people rarely criticize others directly in Turkey. But culturally, his choice of words indicated to Turks that he was blamed Erdoğan for creating the crisis. Gülen has not been known to be supportive of the Jews, nor for that matter of the U.S. or the West. But now in his battle is evidently to ensure that Turkish Islam defeats the so-called Arab-Muslim Brotherhood type of Islam supported by Erdoğan, the Jews and the West might well seem useful allies. As many Middle Easterners say, “The enemy of my enemy is my friend.” A friendship, or alliance, might be temporary, but may continue as long as required. Earlier this year, the enmity between Erdoğan and Gülen broke out into the open, evidently ignited by Turkey’s Gezi Park protests — weeks of riots and demonstrations against the Turkish prime minister. Erdoğan encountered enormous difficulty putting them down; in so doing, he alienated large sections of Turkey’s population. Gülenists, active in this uprising, possibly discerning political weakness, may well have used that crisis as an opportunity to try to defeat their opponents. Perhaps in revenge, Erdoğan — often quick to respond emotionally — proposed laws to ban dershane [prep-schools], the bread and butter of the Gülen movement, and where Gülen recruits followers, who later become the political and financial backbone of his movement. For the Gülenists, Erdogan’s proposed ban appears to have been the decisive provocation. Since Gülen’s self-imposed exile, his supporters, well-placed throughout the Turkish bureaucracy, have continued to provide him with extensive influence inside the Turkish police and judiciary, and are believed also to have infiltrated the secret services, law enforcement offices and even the AK party itself. Gülen’s supporters responded to this proposed ban by arresting 52 members of Erdoğan’s closest associates, including sons of two of his cabinet ministers, and charging them with corruption. According to rumors circulating in Turkey, some of Erdoğan’s relatives are also involved in the plot ; the facts are still unclear. The central figure in this corruption scandal is an Iranian Azeri, Reza Zarrab — married to a popular Turkish singer — who was illegally trading with Iran. Zarrab is charged with bribing the sons of the Turkish ministers — some of Erdoğan’s closest associates. At the same time, the Israeli national airline, El Al, announced that, after a six-year hiatus, it would resume flights to Turkey. Apparently the Turkish government had been refusing to let Israel observe the flight security procedures it follows everywhere else in the world, but out of nowhere, Turkey seems suddenly to have acceded to Israel’s security demands. Further, the judiciary released from jail the retired General Çevik Bir, who had been strong advocate of U.S.-Turkish-NATO relations. Bir had been the central figure in the “February 28 Plot” — evidently dreamed up by Erdoğan and his associates as a means of finding some legal ground for which to prosecute opponents. 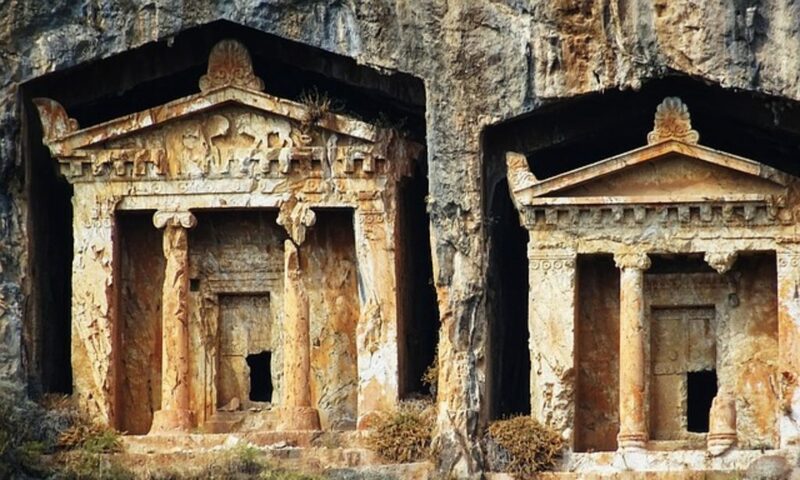 Bir, it was claimed, was the central figure of this alleged plot, allegedly hatched by the Generals of National Security Council, to overthrow the Islamist government of Erdoğan’s mentor, Turkish Prime Minister Necmettin Erbakan. Bir was also one of the major architects of the Turkish-Israeli rapprochement in the 1990s, and a strong opponent of Fethullah Gülen, whom he apparently saw as an Islamic fundamentalist and a long-term danger to Turkey’s secular and democratic Atatürkist Republic. Because of Bir’s outspoken animosity against the Islamists, which included the powerful Gülen, Bir seems to have been an important factor in Gülen’s decision to flee the country. So why was Bir — an opponent of Gülen — released by a heavily Gülenist judiciary? Although the reasons behind Bir’s release are not yet clear, as an opponent of the Erdoğan government, however, he could now be an ally of Gülen. Where Turkey’s once highly influential military stands is unclear. So far, it has been silent. It has historically been — and its senior officers still are — steeped in the Atatürkist secular and pro-Western tradition. At least for the moment, the Islamist Gülenists seem to have forged an alliance of convenience with Turkey’s secularists. The beneficiaries of this political upheaval could well be the West, the U.S., NATO, and Israel. Stay tuned. “Erdoğan implies US ambassador to be expelled”, Today’s Zaman. For a further explanation of the differences between these two Islamist factions, see Harold Rhode, “Mapping Political Islam in Turkey”. See, “Fethullah Gülen’s Grand Ambition”, Rachel Sharon Krespin, and “Turkish investigation into Islamic sect expanded”, BBC News. 21 June 1999. “U.S. charter schools tied to powerful Turkish imam”. 60 Minutes, CBS News, May 13, 2012. “Reclusive Turkish Imam Criticizes Gaza Flotilla”, Wall Street Journal. From personal interviews with students educated in Gülen schools in Turkey and Central Asia, his people look for potential supporters from among their students. Those selected are invited to “sohbetler” [“conversations”] where anti-American/Western, anti-Christian, and anti-Semitic views are often propagated, but kept private not to jeopardize political support abroad. This is similar to the “alliance” at present between Israel and many Sunni leaders — especially the Saudis, and the Gulf States – who oppose Shiite Iran. After “regime change” in Iran, it remains to be seen how long this “alliance” will last. Similarly, after Saddam Hussein invaded Kuwait in 1990, until America liberated Kuwait, the Saudis and Kuwaitis maintained relationships with Jewish groups in Western capitals. The day Kuwait was liberated, the Saudis and Kuwaitis severed virtually all contact with these Jewish leaders. For more on these riots and demonstrations, see, “Turkish police storm protest camp using teargas and rubber bullets,” The Guardian. This is from conversations with Gülenists throughout the country at that time. Public examples of these emotional outbursts are many. To cite just two: In June, 2009, Erdoğan lashed out at Israeli President Shimon Peres, calling Israelis killers. Earlier this year, when the Gezi Park demonstrations took place, he labeled the participants “Çapulcus” – low-life good for nothings. “Draft law aims to ban all prep schools, punish if necessary”, Today’s Zaman. For a detailed study of Gülen’s Turkish/Turkic Islam, see “Fethullah Gulen and His Liberal ‘Turkish Islam’ Movement”, GLORIA. Turkish protesters in Istanbul on Wednesday shouted slogans as they held signs calling for the government’s resignation. ISTANBUL — A corruption investigation that has encircled the Turkish government moved an ominous step closer to Prime Minister Recep Tayyip Erdogan on Wednesday, as three top ministers whose sons have been implicated abruptly resigned — and one of them, on his way out the door, said Mr. Erdogan should step down as well. The resignations, coming only hours after the ministers welcomed Mr. Erdogan at the Ankara airport as he returned from Pakistan late on Tuesday, were enough to inspire new talk of a deepening crisis, which Mr. Erdogan has repeatedly denounced as a foreign plot. But the words from one of the departing ministers were considered stunning, coming from a political party known for silencing dissent. That instantly raised the significance of the entire inquiry and left members of the Turkish public wondering if they were witnessing the collapse of their Islamist-rooted government of the last decade. Prime Minister Recep Tayyip Erdogan spoke before images of himself and Mustafa Kemal Ataturk, modern Turkey’s founder. Later, as a dramatic day came to a close, Mr. Erdogan emerged from a meeting with President Abdullah Gul in Ankara, the Turkish capital, and announced that seven other ministers would leave his cabinet, some of whom are departing as part of a long-planned shuffle so that they can run for mayors in coming elections. One of the late-night departures included the European Union minister, who has been implicated in the corruption investigation. The investigation became public a week ago with dawn police raids on the offices of businessmen and others close to the prime minister. But Wednesday was the first time that someone who had been in Mr. Erdogan’s hierarchy — a confidant, no less — left the strong implication of the prime minister’s entanglements in some of the real estate deals at the heart of the case. The crisis strikes a sharp contrast to the image that Turkey has projected as an exemplar of a prosperous, Muslim-majority country based on democratic principles. A NATO member, Turkey has been embraced by the United States and Europe as a force for stability in the tumultuous Middle East, and the country has sought to play an important role in shaping the outcome of crises in Syria, Egypt and with Iran’s nuclear program. With Mr. Erdogan now preoccupied with political survival, Turkey’s role in the region and its relationship with the West are in question. The corruption inquiry has targeted the ministers’ sons, a major construction tycoon with links to Mr. Erdogan and municipal workers, and it centers in part on allegations that officials received bribes in exchange for ignoring zoning rules and approving contentious development projects. No one has been convicted, but the issue has struck a nerve among the Turkish public, especially Istanbul residents. They have become increasingly resentful over the dizzying pace of development and riches amassed by a new, pious economic elite, with a strong hand in the construction industry, which rose to power alongside Mr. Erdogan and his associates. At the United States Embassy in Ankara, Turkey, on Monday, protesters denounced Ambassador Francis J. Ricciardone Jr.
Analysts questioned whether Mr. Erdogan can weather the crisis by blaming foreign powers, appealing to the religious sentiments of supporters, and evoking the ghosts of Turkey’s past by likening it to the war for independence it fought after the breakup of the Ottoman Empire. The developments on Wednesday came amid rumors in the local news media that more damaging allegations from the investigation were coming and would link directly to Mr. Erdogan and his family. The public has been riveted by a flow of sordid details of the investigations leaked to the news media — with photographs of piles of cash in the bedroom of a minister’s son and reports that the chief executive of a state-owned bank had $4.5 million in cash packed in shoeboxes. On Wednesday morning, Economy Minister Zafer Caglayan and Interior Minister Muammer Guler, whose sons are among 24 people arrested in the corruption investigation, stepped down. A few hours later the environment and urban planning minister, Erdogan Bayraktar, closest among the three to Mr. Erdogan, said in a live television interview that he had resigned under pressure. He also said Mr. Erdogan was personally involved in unspecified property deals that are a focus of the investigation. In a televised speech on Wednesday afternoon, Mr. Erdogan used some of his strongest language yet to denounce his former allies in the Gulen movement and promised to dismiss them. “We will root out the bad apples or whatever is necessary,” he said. Dozens of high-level police officials, and hundreds of other officers, already have been removed. Reports emerged in the Turkish news media on Wednesday that prosecutors were pursuing other high-level officials, but that new police officials installed by the government had resisted pursuing them. This essentially highlights a power struggle within state structures. Turkey has faced many upheavals, with coups and power struggles that sometimes turned violent, but the current crisis is something new: a clash between two Islamist rivals that had once been united in overhauling the political system by pushing the military from politics. Once ruled by secularists backed by powerful military generals, Turkey has seen the rise over the last decade of Mr. Erdogan’s Justice and Development Party, known by its Turkish initials A.K.P., that was rooted in political Islam but also included other partners, among them liberals and some on the nonreligious right. Most of the liberals and the nonreligious no longer support the A.K.P., and now that Mr. Erdogan and Mr. Gulen, who represent different Turkish Islamist traditions, are basically at war, the party is at risk of collapsing, said analysts. In another setback for Mr. Erdogan, a prominent A.K.P. lawmaker who was a former interior minister resigned from the party on Wednesday — not because he was implicated in the corruption investigation, but because he was disgusted by how the government was handling it, dismissing police officers and attacking the judiciary. “It seems that within the A.K.P. things are spiraling out of control,” said Mr. Oktem, the research fellow at Oxford. 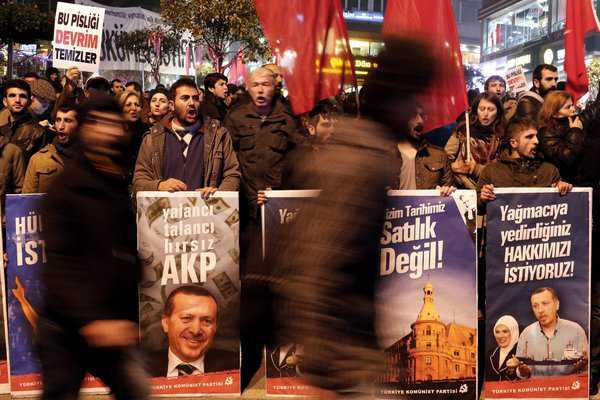 The question is whether the clash will upend the Turkish political system. “This kind of power struggle between two different Islamist groups might make the non-Islamist, secular groups more powerful, in Turkey’s case,” Mr. Oktem said. Mahmut Kaya contributed reporting from Istanbul, and Dan Bilefsky from Paris. Ukraine’s struggle for “independent” church: is the deal really worth it?